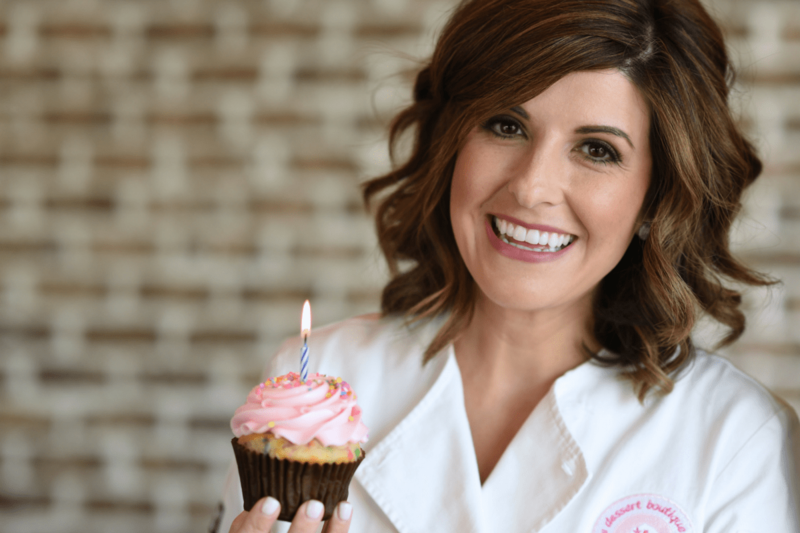 Ten years ago, Vanessa O’Donnell was a 25-year-old aspiring entrepreneur with a dream and a love of cupcakes. Now she oversees three locations of Ooh La La Dessert Boutique, turning out more than 80 types of goodies, including cheesecake, cookies, pies and the aforementioned cupcakes. “Never in my wildest dreams did I think I would have a bakery, much less make it to 10 years,” she says. Even with the great success of Ooh La La, O’Donnell still has some unfulfilled ambitions, including projects she hopes to complete in the coming years. Among them includes renovating the Katy store in January. In this interview, she shares what she’s learned and what she still hopes to accomplish. 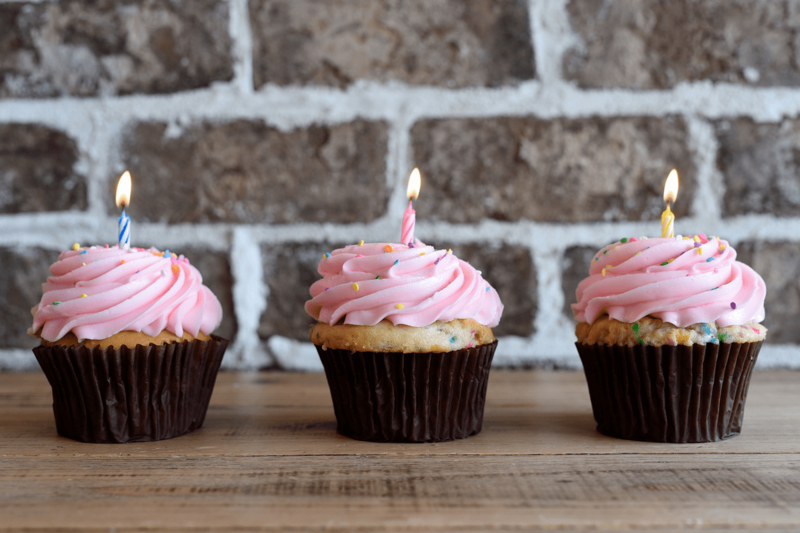 By the way: readers who want to help Ooh La La celebrate its 10-year anniversary—and aren’t already getting its newsletter—can score a free cupcake. (Actually, two, but you might have to wait a while for the second.) 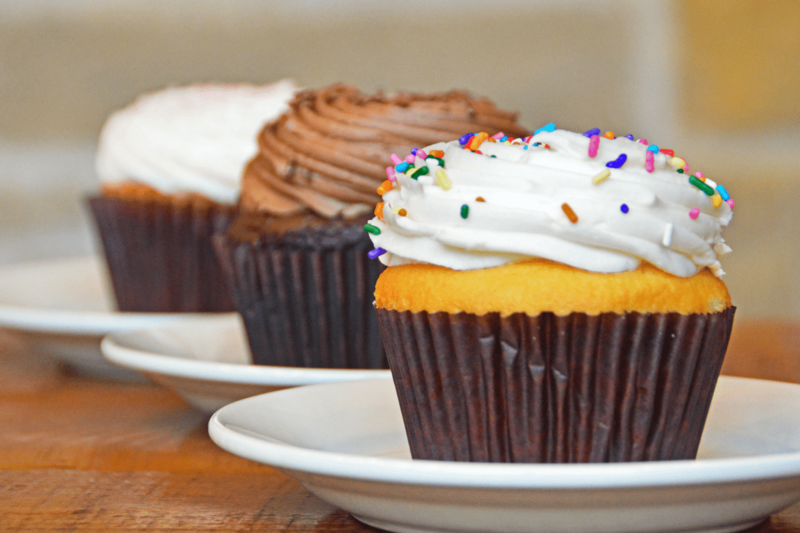 To claim, sign up for the pastry shop’s “Sweet Treats” emails and receive a certificate for a complimentary signature cupcake, plus another free one during your birthday month. Did you have much of a bakery background before opening Ooh La La? I had worked at a few places [including] Brennan’s of Houston and the Houston Country Club. Then, when I was in college, I worked at a cake shop. But as far as working in a bakery similar to this, no I hadn’t. How has Ooh La La evolved over the years? Our original location in Katy is about 600 square feet. We quickly realized after we’d been opened for about a year and a half that in order for our business to grow, we had to expand our kitchen. So, in 2009, we built the kitchen and that became our second location. I hate to call it a “location” because the storefront is so tiny. In 2011 we expanded to Memorial because had the space and the demand allowed me to make more of a profit. Was there any kind of guiding principle or fundamental philosophy that has guided you the whole time? At 25, I was initially focused on making great cupcakes but my mom emphasized the importance of good customer service. I’ve tried to implement in the staff and everybody who works for us is that our food can be good, but if we don’t treat the customers well they aren’t going to come back. So that’s been the same since day one; the importance of our customer service. I was really worried about the employees and turnover. I have a very type-A personality and I like to do everything myself. One thing I’ve learned is that if I let the staff be more involved and take ownership of some of the decisions within Ooh La La, it lets them blossom and they have a sense of accomplishment. That’s my biggest surprise: letting some things go and letting them [the staff] be more hands-on. It’s good for me and it’s good for them. So, the turnover’s not high. If you could send a message to yourself on opening day 10 years ago what would you say? Just let things roll off your shoulders and pick and choose your battles. If I could just go back, and if I knew what I know now, I would approach things differently. Learn to let things go because it will work itself out. What, if anything, has been on the menu since day one? I would say our cupcakes. We’ve tweaked them a little—not all the flavors. There are a few that have stayed the same and continue to be really good sellers, [like the] vanilla with vanilla buttercream, the chocolate with chocolate icing and the red velvet. What are the 10 top-selling items in the past 10 years? The Velvet Elvis cupcake, which is red velvet, our Pretty in Pink cupcake, which is strawberry, strawberry cheesecake, pumpkin cheesecake, chocolate chewy cookie, chocolate chip cookie, apple pie, Key lime pie, lemon bars, and éclairs. People start requesting the pumpkin in the summer and the other items are available year round. What are 10 kitchen tools or pieces of equipment that have been essential? Large mixers, a rotating oven, portion scoops, Robot Coupe (for shredding carrots and chopping walnuts — we sell so much carrot cake we use it every day), rotating cake plates (for icing cupcakes, cakes and decorating sugar cookies), icing tips, steam kettle for big batches of pastry cream, cookie cutters (we probably have over 800), rolling pins and pastry knives. Is there anything you thought you would need that you bought and ended up never using? We invested in this tool, which is a tube dispenser so when you have the batter ready it dispenses into the cupcake pan. It’s supposed to save time. We thought this would be great for big holidays and Valentine’s when we sell thousands of cupcakes and that it would cut down on the labor of scooping and portioning into the pans. It ended up being a big flop and is sitting in the warehouse. When you switch batters out you have to clean the entire machine. Cleaning the entire machine it takes an hour, so it’s just too much time. What are the most common reactions from guests? “Wow, everything really is bigger in Texas.” I know that sounds so cliché but we hear it all the time. Short-term is remodeling the Katy store. My long-term goal: I’m hoping to get into online sales because that is really taking off. So we’re doing a doing a lot of research [on that]. I’m going to start taking classes to maybe expand into breads and stuff like that to bring into our store. My [other] long-term goal that I’ve had since I opened 10 years ago is to eventually own some land and build my own building. Sweets seekers can visit Ooh La La at 23920 Westheimer Parkway in Katy, 770 West Sam Houston Parkway North #500 in Houston and 20155 Park Row, also in Katy.